Rome Early Christianity Activity - HISTORY'S HISTORIESYou are history. We are the future. Begin your activity by using your reading and your Brainbox to complete the chart below. Think carefully about how religion either helped or hurt the efforts of Roman rulers to unite the empire and keep their power. From your reading, you know that early Christian teachings were spread by apostles. For this activity, I want you to use your Early Christianity lesson and the chart you completed above to think about the reasons that the teachings of the apostles gained followers and grew the early Christian church. 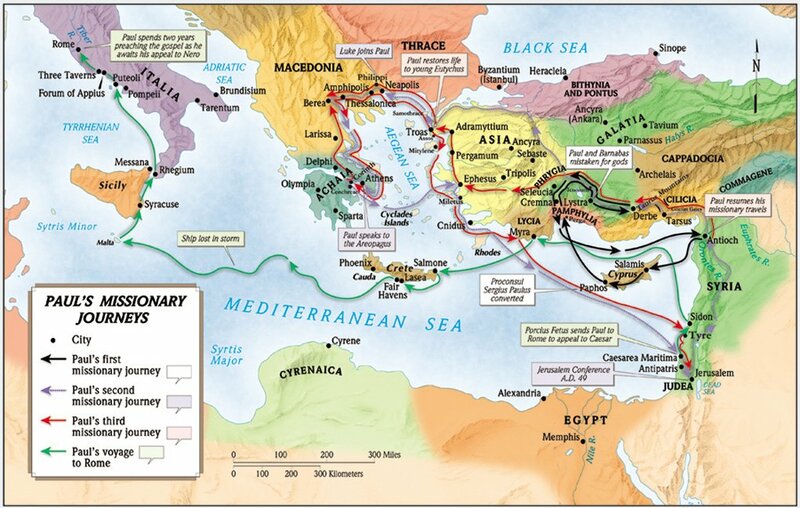 As you can see from the map above, apostles like Paul traveled widely to spread the teachings of Jesus. In order to spread Jesus’ teachings, Paul also wrote a great many letters called epistles. I want you to follow Paul’s example and write a short letter to the Roman people that answers the question, “How will the teachings of Christ help them?” To answer that question, first think about the reasons that many people in the empire were searching for something new.